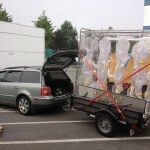 Here are some photos paying homage to our tremendous TDI. After this we will focus on Electric Vehicles! 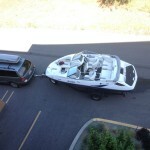 The Passat TDI hauls our 2,800 lb boat and trailer to the boat launch and retrieves the boat with no problem. 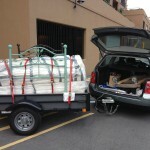 No, you don’t need an SUV! Click on any image to see a full-size gallery. 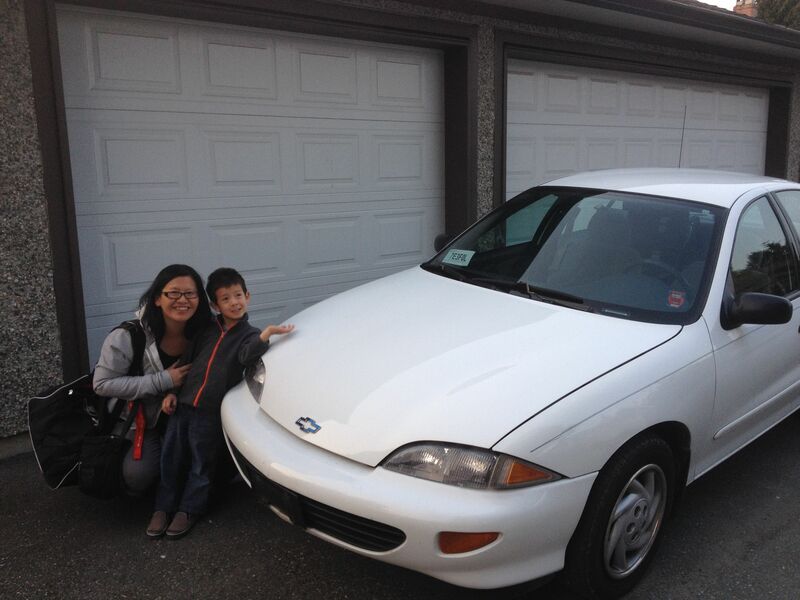 When my wife returned to work after mat leave we purchased a colleague’s 1995 Chevy Cavalier for $1,200. It was in great shape for being nearly 20 years old and had low km’s. Unfortunately we had to replace a head gasket a year later for about $1,700. We drove it for 3 years, putting about 14,000 km on it per year. 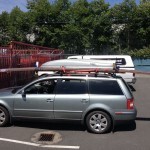 I got really fed up with the 20 year old vehicle, the poor passenger and luggage space, and poor fuel economy. And boy, when you have a child, you really notice the lack of remote door locking! In January 2014 I had begun in earnest to research the Nissan Leaf. Overall I dislike the Nissan brand as a whole but I was very intrigued by the Leaf. Later that year in April the BC government terminated the Clean Energy Vehicle (CEV) rebate program and I shelved my interest for some time. In 2015 EVs were on the roll and the BC gov’t re-introduced the CEV incentives, along with the privately run Scrap-It program in the spring. We got interested again and I started scoping out the used market on Craigslist for several months. In April 2015 we purchased a used 2013 Leaf SL with ~32,000 km on the clock. Including dealer negotiation and less the $3,250 Scrap-It rebate from the 1995 Chevy we paid about $21,000 for the Leaf before taxes and fees (the provincial CEV grant is only for new vehicles). We have loved every minute of the drive. I expected the Leaf to cost us about $15 a month in electricity to drive or about $130 a year, displacing around $1,200-1,400 in gas costs per year for the Chevy. So far this assumption is looking to be correct. 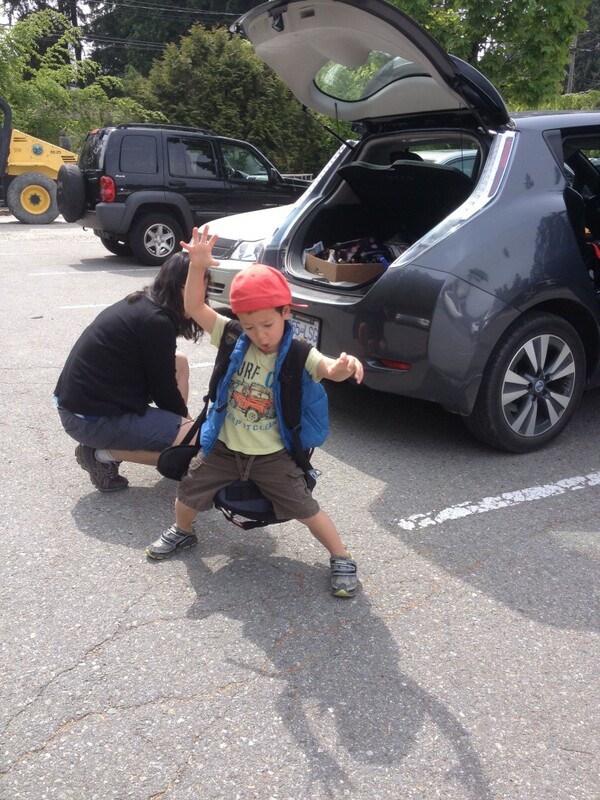 We chose the Leaf because a battery electric vehicle (BEV) suited our lifestyle, which now revolves around many short trips in town such as daycare, pre-school, kindergarten, swimming at the community center, shopping, short commutes to work etc. The BEV made so much sense for this scenario of multiple short trips. My wife’s total commute, including kid drop offs, is about 25 km return. We haven’t even needed an L2 EVSE at home, though I am aware of the issues of relying on L1 charging. [Editor’s note: the main concern is the safety of the outlet you plug into since the car pulls 12A using the L1 trickle charger, which is right at the threshold of the commonly used safety factor of 80% of a circuit’s rating, and a typical home circuit is 15A.] We use the Leaf for all around-town trips now and the TDI is only used to take me to work, out of town family trips, or trailer duty. Speaking of out of town trips, we (ok, more me than my wife) wanted to see what extended range travel in the Leaf was like. The goal was to visit Seattle for a couple days with the target destination of the Woodland Park Zoo. With this goal in mind I began assessing the charge networks and routing on plugshare.com and began what became an arduous process of becoming a member at a myriad of charging networks. To successfully and quickly make it to the Seattle area DCFC charging is required and the DCFC infrastructure south of the border is pretty decent but also fragmented. I would need to ensure I could use the AeroVironment (AV) DCFC chargers (one of the network providers of the West Coast Electric Highway) and I would need to be prepared with back up plans. Nearly all L2 and DCFC charging south of the border is pay per use and nearly all require a membership card and/or RFID fob. Most charging stations will not just take credit cards like the L2 ChargePoints around Metro Vancouver. Preparation is required! To make matters worse for Canadians traveling south of the border, we lose our easy cell phone connectivity; roaming charges have been steep in the past, and while slightly more reasonable now, they are still something to avoid for short trips. Can you imagine traveling somewhere unknown without instant access to PlugShare? What if your RFID fob does not work and you are on hold for 10 minutes at $1.50 a minute? There goes your feel good trip. Now I know EV ownership isn’t just about being frugal, but it sure is a nice side effect. If I have to rely on cellphone data and voice for all charging events I may as well just take the TDI and forget about the Leaf (the TDI is approx. 8.6 cents per km fuel over my 9 year average). So we need charge network memberships and access cards, and they have to be activated and working before our departure. The goal is not to have to use cellular data/voice roaming. AeroVironment – I have to have access to this network with two DCFC charges to get you down to the Seattle area. As a Canadian, with a Canadian address and a Canadian-billed credit card, sometimes purchasing things in the US is difficult. It went smoothly with AV; their website allowed my Canadian address, however the catch was the RFID fob cost $15 and the flat rate monthly fee is $20. I wanted the fob NOW to ensure I could make the decision to travel at any time (we had not set a schedule and were intending to travel with another family). With just a phone call to AV you can activate or suspend the monthly fee for your account. But at the initial purchase you have to activate your account AND pay the 1st month. I begged, pleaded, tried to make deals with them, called many times, talked to different customer service reps, e-mailed public relations, but nothing I did changed their mind. I could not simply buy an active RFID fob with an inactive monthly account. I had to settle for ordering the fob just before our planned departure and hope the fob made it to Canada in time. Either that or we take the TDI. It turned out well. I ordered the fob on August 20th, expecting to travel September 11th, and the fob arrived about 10 days after ordering. I logged in and confirmed it was active. Here’s hoping it works. Total cost $15 + $20 USD 1st month unlimited charging. I expect to charge at AV a minimum of 4 times (twice south and twice north), which would be $7.50 each if you are a non-member, and it would be $30 + roaming fees on your phone to use Pay-by-PlugShare, so membership sounds ok to me. NRG – EVGO – Relatively new to the Seattle Market, EVGO opened up a few DCFC stations near areas we like to stop such as Seattle Premium Outlet and Northgate mall. As of this writing the Northgate location is more than 3 months late opening. However, I wanted the EVGO membership to open more options for DCFC charging for just-in-case scenarios. EVGO was the hardest account for a Canadian to subscribe to. I also begged and pleaded with them. The main problem is their website does not allow entry of non-USA addresses. On the phone they were quite happy to mail me a membership card if they could link it to a US credit card. They told me over and over a Canadian Credit card would NOT work, which I highly doubted. This just seemed wrong. I investigated many workarounds including pre-paid credit cards. I learnt that most prepaid credit card had nasty dormancy fees and the more beneficial cards were next to impossible to get via mail order. I then investigated a service that provides a virtual pre-paid credit card. This sounded interesting, but in the end just a little too sketchy. I opted for the AMERIFRIEND. I don’t have many acquaintances in the US I could call in for this favour, but my wife has a cousin living in the Pheonix area and they were willing to help. I was able to successfully obtain my EVGO card using my name and Canadian credit card with their USA mailing address. The card arrived at their home and our AmeriCousin-in-law mailed it to me. The other method we could have used would have been to obtain this card using one of the cross border post office services commonly in operation around the border towns. I didn’t want to make the trek to the USA just for a card and didn’t want the unknown quantity of picking up the membership card (potentially inactivated) on the way south during the trip. I wanted everything to be in order before we left. Membership was $10 USD and I opted for the zero monthly fee, pay as you go plan. UPDATE: recently I noticed on the Canadian Leaf Facebook group that someone has been able to get their EVGO card directly mailed to Canada so perhaps the policies have changed. ChargePoint – a number of good DCFC and L2 chargers in the Seattle area use ChargePoint, including DCFC’s at Nissan dealerships. Luckily ChargePoint operates in Canada too, and it is very easy to get your membership card with one caveat: you must prepay a balance onto your ChargePoint card and the minimum is $25. I got my card a few months ago. It will be necessary for the trip. Note: they don’t bill the pre-paid $25 until your first billable charge. Greenlots – also operates in Canada and it is easy to obtain your fob for around $10. Then you have to link a credit card to it in your online account. There are 1 or 2 Greenlots DCFC’s in Seattle that are on our route. Nice to have. SEMAcharge – A handful of locations in Seattle and Vancovuer use SEMAcharge. I won’t have the card for my Seattle trip, but I did just register and apparently they are sending me a card to my Canadian address at no cost to me (yes it has arrived at no cost in about 7 days). I will have to link to a CC for future paid use. You can also use a smartphone to activate charging or pay via PlugShare with Sema, however the hope is not to use the cell phone on this trip. Blink – The network that Seattle area residents seem to love to hate – based only on my PlugShare observations. I think this is mainly because of lack of maintenance and Blink DCFC’s often go un-repaired for weeks or months [Editor’s Note: the running joke on InsideEVs.com is that the network is aptly named, since they often go on the blink!] Guests can charge at Blink DCFC stations, but you are required to generate a guest code by mobile app (roaming), by voice call (roaming), or in advance on your computer. Membership appears to be free, but I elected to sign up for a guest code. Member charging rates are $0.39/kWh and the guest rate is $0.49/kWh in the Washington State market area. The problem is the number of Blink stations in the Seattle area with un-repaired vandalism (or other) includes PlugShare photos of broken LCD screens on the charger. I suspect this would present a problem for entering the guest code making the smartphone app the required method (roaming fees) for initiating a charge. VERnetwork – Operating out of Quebec there are a few VERnetwork AddEnergie chargers around Vancouver on our local routes and I wanted to be able to use them sans smartphone app so I bought the card for $10. PS, don’t drill a hole in the card. I did this to put it on a key-ring and learnt this lesson the hard way. I even used a super bright LED flash light to avoid drilling areas of the card that looked to be RFID active. There you have it, the summary of EV charging network cards that I chose to obtain for our expedition south of Vancouver. Stay tuned for the trip reports. David, New West EV Family! I am really hoping my guest posts are interesting to the readers of Andrew’s blog and that your readers find the information useful or at least get a kick out of our stories. I know I look forward to reading Andrew’s posts and can’t get enough. I have to admit I have been infatuated with my VW Diesel for many years for the many of the reasons this article mentions. I’m starting to think that time is over and that Tesla X is sure looking nice ($$$$) or perhaps that VW Tiguan GTE ($$) to replace my 10 year old passat TDI wagon. I still need something to tow with but it looks like I need to make this passat last another 1-2 years…it looks like wagons are pretty much done in North America, much to my lament. Yes interesting article. Unfortunately the regulators in Europe had tunnel-vision by focusing entirely on CO2 emissions rather than looking at the whole pollutant picture. From a human health perspective, I would argue that the NOx is more of a problem than CO2 (local emissions, acute and chronic health effects from particulate matter and NOx as opposed to generalized impacts from CO2, much harder to pin down to one specific actor) and we should be putting all our efforts into creating vehicles that are zero-emission – the knock-on effect is that this pretty much means only EVs will work, and they are inherently more energy efficient, so we drop CO2 emissions as a side-effect of cleaning up our local airsheds. 2) We have been continually changing the mix of energy generation on the grid for some time, and I see no reason for this trend to change. It is, generally everywhere in the world, moving towards cleaner technologies (both CO2 emissions, NOx etc). As for the argument that EVs and battery production “causes mining” and associated environmental impacts… no one claims that it doesn’t (and last time I checked, getting gasoline/diesel from oil from bitumen from the tarsands is mining too!) However, the pollution generated during the manufacturing phase of a vehicle is much smaller than the pollution generated during the operating phase, quite dramatically so for combustion vehicles. I intend to put together a longer post on this subject in the future, so stay tuned. Thanks for posting your first experiences with the Leaf. I am hoping to get one soon (next year). I skimmed your myriad of charging companies since I am not planning to head south any time soon. I will say that our society’s blinkered fixation on the unquestionable merits of the so-called “free-enterprise system” leads to a lot of logistical problems and above all – from an environmental standpoint – a lot of wasted resources. One of the worst scenarios for electric cars would be to follow the computer industry’s example of multiple types of software/hardware/payment plans/etc. Gasoline was adopted as a fuel because it was universally available and easily obtained. Electricity has the option to be made available in the same way but there needs to be “private and public sector cooperation”. Let’s hope! I agree David – I hope that since broad social enterprises are more accepted in Canada that we can somewhat avoid the rat’s nest south of the border. 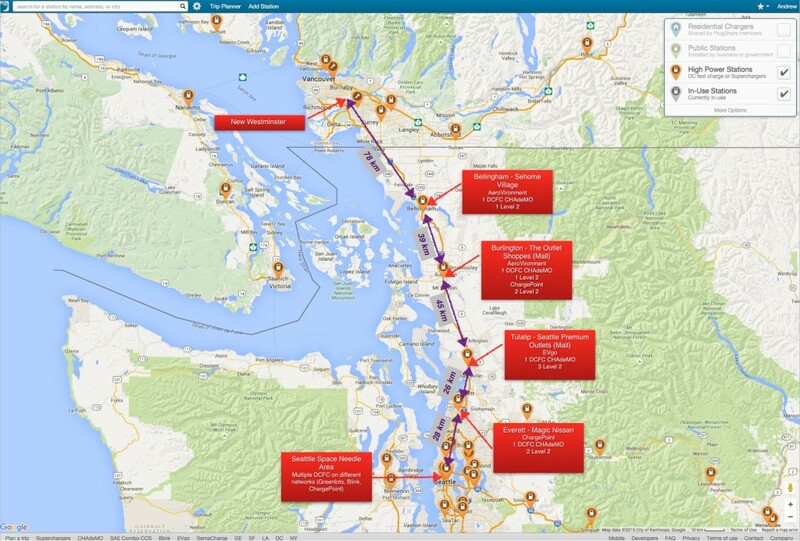 Generally I think BC Hydro is off to a reasonable start in partnering with municipalities and having one network provider. Now they just need to improve the reliability and redundancy of the system. The first is a function of more mature technology from the vendors once they get past the first generation of fast chargers. The second can be solved by having multiple chargers at each fast charging location, and/or by at least including a medium speed Level 2 charger (since those are basically bulletproof); that way when a driver heads somewhere expecting to be able to charge, they will be able to, barring an act of god. 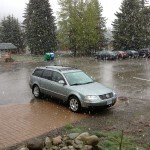 As it is right now, you can have the experience we had in Revelstoke, which was to arrive expecting the DFCF to work, it didn’t, we then had to change our plans and find a nearby Level 2 charger, since there wasn’t one right at the fast charger site. As for eVgo… I received my card at my Canadian address (probably you saw my post on Canadian Leaf Owners group on Facebook). But the funny thing is that I ordered it with a Canadian CC. At first I tried to use an US address (we have family over there) and for some reason it wouldn’t work. Few month later they communicated by e-mail and I explained the situation, they just sent the card to me in Canada. eVgo is really the most complicated network to deal with. I don’t understand their restriction on Canadian credit cards. I was able to enter it in their website. Now I didn’t use the card yet, not sure if the CC will really work or not. But I would be surprised… I mean CC are used world wide for *travel* and buying stuff abroad. 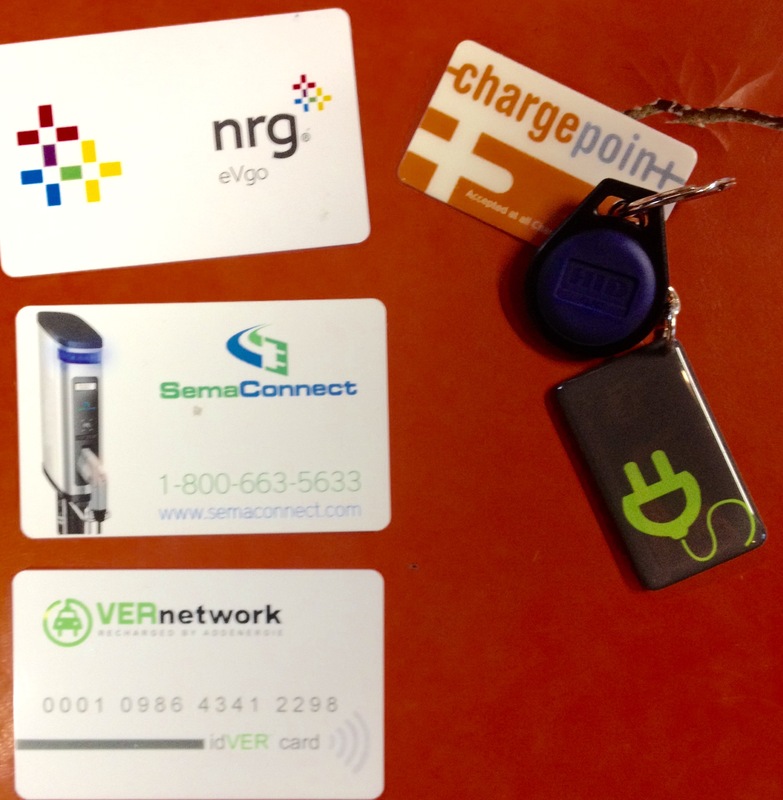 eVgo would be the first company I know to not accept a Canadian CC. Yes! I read that the other day and am hopeful that it moves us closer to a model that we have for petrol vehicles where any vehicle can be filled (almost) anywhere and paid for without random restrictions and memberships.